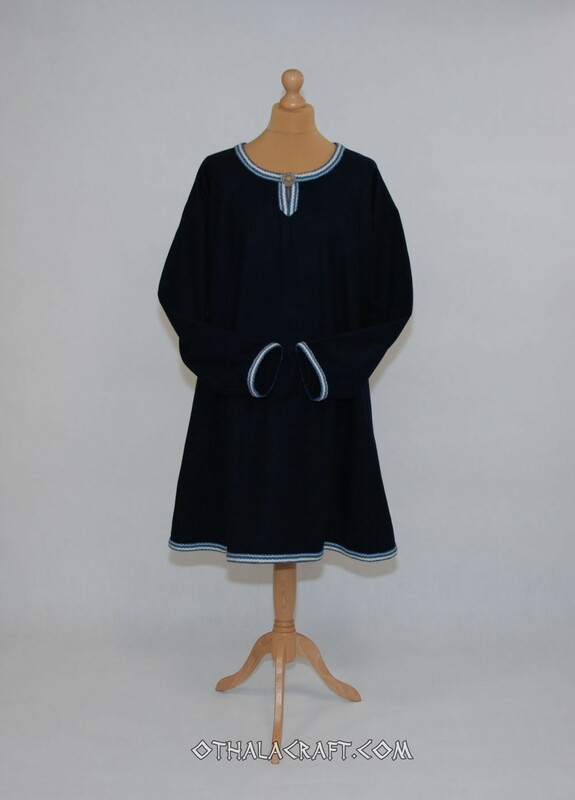 Decorated Viking tunic made of dark blue woolen fabric (96%). Shape based on a find from Birka (Sweden), 8th-9th cent. Made of two rectangles and with square-shaped wedges under the armpits and wedges on the sides. 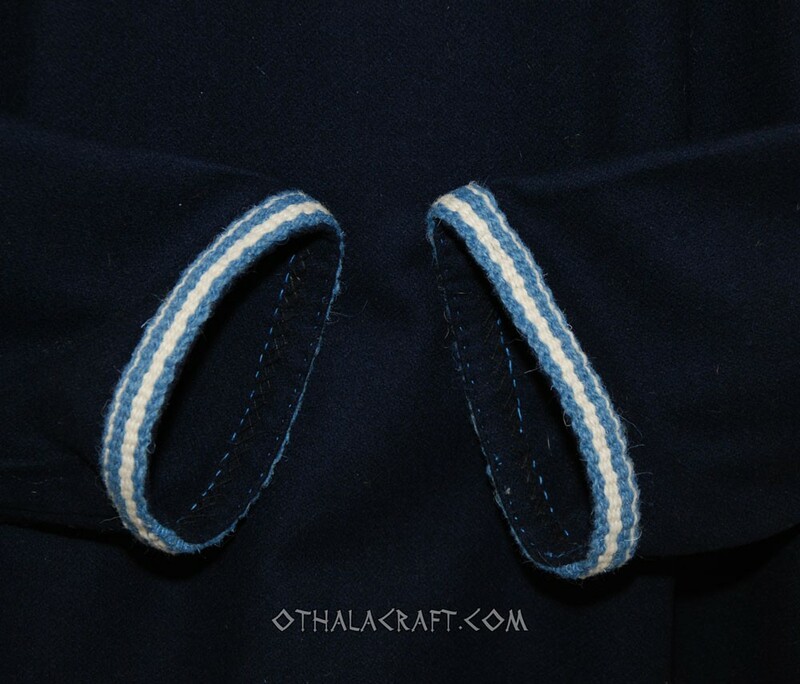 The neck, cuffs and lower edge are bordered with handmade tablet braid 100%. Fabric and braid have been washed before sewing. Inside stitches are machine, every visible stitches are made by hand. 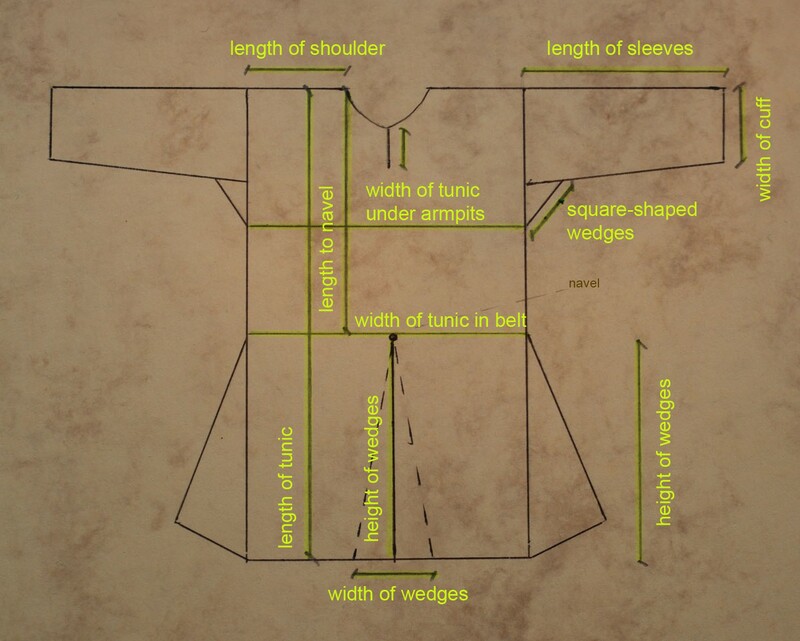 Size: length of tunic 105 cm, width 65 cm x2, length of sleeves 58 cm, height of wedges 58 cm, width of sleeves 16 cm, split under the neck 8 cm.